Technical Surfaces serves up another ace! //Technical Surfaces serves up another ace! We are absolutely thrilled with our tennis courts since they were cleaned by Technical Surfaces. From start to finish the advice, information and service we have received has been first-rate. Call us now on 08702 400 700 and ask to speak to a Technical Manager to arrange your FREE site inspection and quotation!. Stow Park Lawn Tennis Club is the latest customer to benefit from the expert tennis court maintenance provided by Technical Surfaces, the UK’s leading synthetic surface maintenance provider. Impressed with the renovation works carried out on the tennis courts at a nearby David Lloyd centre, the Newport-based club contacted Technical Surfaces for advice on the refurbishment of their own facilities. During an on-site inspection by one of our experienced Technical Managers, it was apparent that the artificial turf courts were of sound construction, but at 20 years old were suffering the consequences of age, with contaminated material affecting both the aesthetics and the playing properties of the courts. Dark patches were evident across the courts, highlighting the contamination that was present within the surface infill, while areas of standing water were prevalent after spells of heavy or prolonged rain, demonstrating the inability of rainwater to adequately drain away through the contaminated carpet. 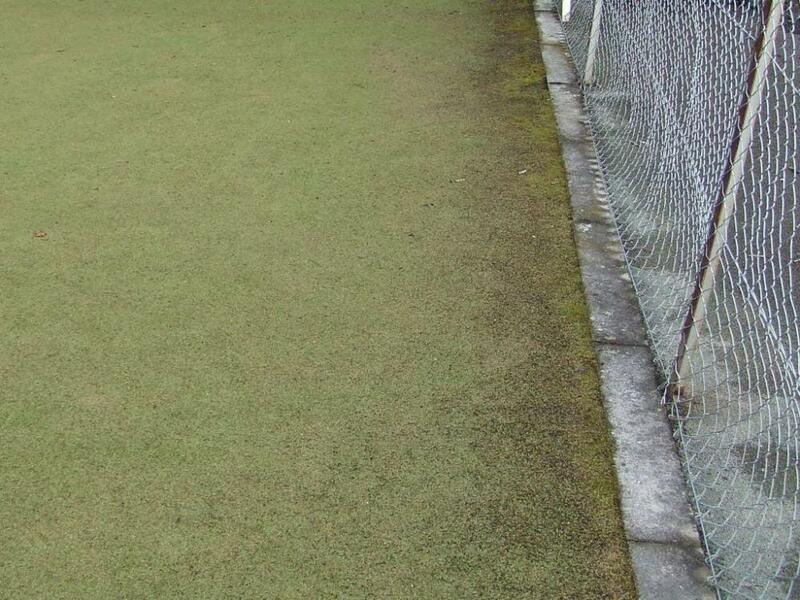 High levels of moss and a build-up of contaminated material had also affected the tarmac courts at the club, causing the playing surface to become slippery, particularly when wet. With the courts around 20 years old, we didn’t realistically think much could be done to rescue them in the condition they were in, but Technical Surfaces explained that when the basic construction of the courts is good – as it was in our case – they can be successfully restored. It’s also more cost-effective from our point of view to get as much use from our existing courts as possible, and refurbishment was obviously considerably less costly than replacing the courts, which was an added bonus! Having read through the contents of our report, the club opted to have both the artificial turf and tarmac tennis courts cleaned, to return them to the high standard which they and their members expect. Our patented Rejeneration® of the artificial turf tennis courts involved the use of compressed air to ensure the clean and efficient removal of the contaminated infill. The surface was then re-dressed with fresh, clean sand to improve the drainage capabilities, playing qualities and overall appearance of the courts. The tarmac courts, meanwhile, were cleaned using our Hydrotech® process – a series of pressurised water jets that are forced into the surface, removing moss, algae and other contaminated material. A full-surface chemical treatment was then applied, followed by hand-lancing of any stubborn areas. Once the courts were cleaned, a binder coat was applied to help prevent the courts from breaking up or ‘fretting’. The line marking and colour-coating of the tarmac courts was also refreshed, as the existing lines had become discoloured and faded beneath the surface contamination. We are absolutely thrilled with our tennis courts since they were cleaned by Technical Surfaces”, says Jocelyn. “From start to finish the advice, information and service we have received has been first-rate. Technical Surfaces provided us with a real alternative to resurfacing, and we look forward to getting many more years of use out of our tennis courts. Many of our members are teachers or otherwise involved with schools, and they have been so impressed with how our courts have been restored that they’ve said they’ll be in touch with Technical Surfaces to get their own facilities cleaned. Not only has the Rejeneration® restored the artificial turf courts at Stow Park to their former glory, but with regular maintenance it could also give the club a further five years of use from their courts. The porosity, tread and slip resistance has also been restored to the club’s tarmac courts, which look like new thanks to the application of colour-coating and line marking. At Technical Surfaces we understand that decision-making within tennis clubs is often undertaken at committee level, and can sometimes be a detailed process which requires all the necessary information and costs to be obtained before decisions can be made. If your artificial turf or hardstanding courts are in need of an overhaul before next season, why not get ahead of the game and contact us now to arrange a FREE site inspection and quotation! Rejeneration : 3G Hybrid System - NEW!